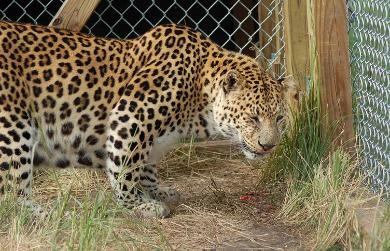 Chung-li is a very old and rare Chinese leopard. producing any kittens he was in need of a new home. 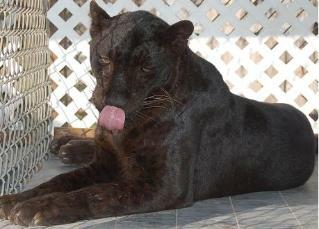 has resulted in it being the world's rarest cat on Earth today. badgers and smaller rodents. They are solitary animals with primarily nocturnal habits. about fifty percent larger than females, and their weight ranges from 65 to 155 pounds. than fifty of these elusive felines remain in the wild. Cat Specialist Group (1996). 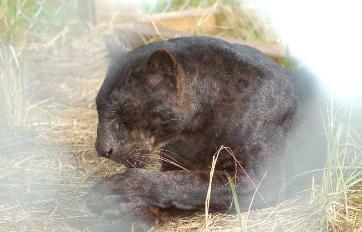 Panthera pardus ssp. orientalis. 2006 IUCN Red List of Threatened Species. IUCN 2006.
almost a daily basis. She is a unwanted breeder.